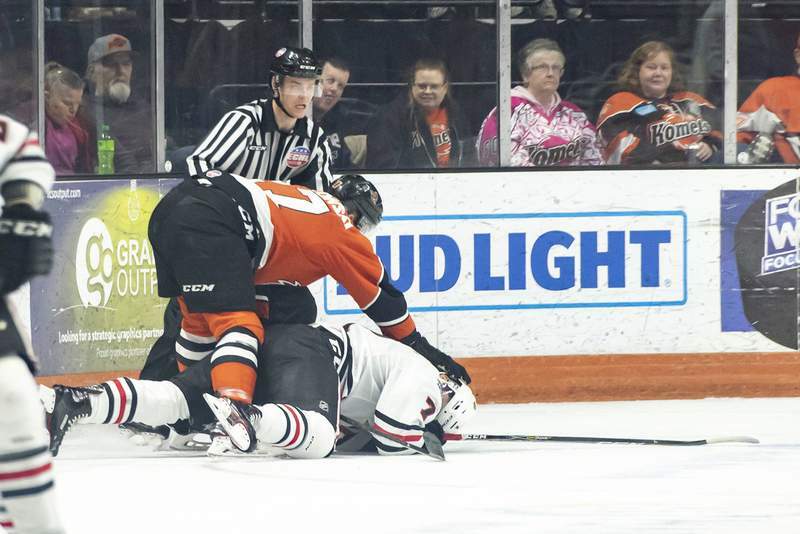 Brett Luke | The Journal Gazette Shawn Szydlowski of the Komets rubs the head of Indy's Miles Liberati into the ground during the first period at Memorial Coliseum on Saturday night. Brett Luke | The Journal Gazette Ryan Lowney of the Komets fights for posession over the puck with Radovan Bondra of the Indy Fuel during the second period at Memorial Coliseum on Saturday night. 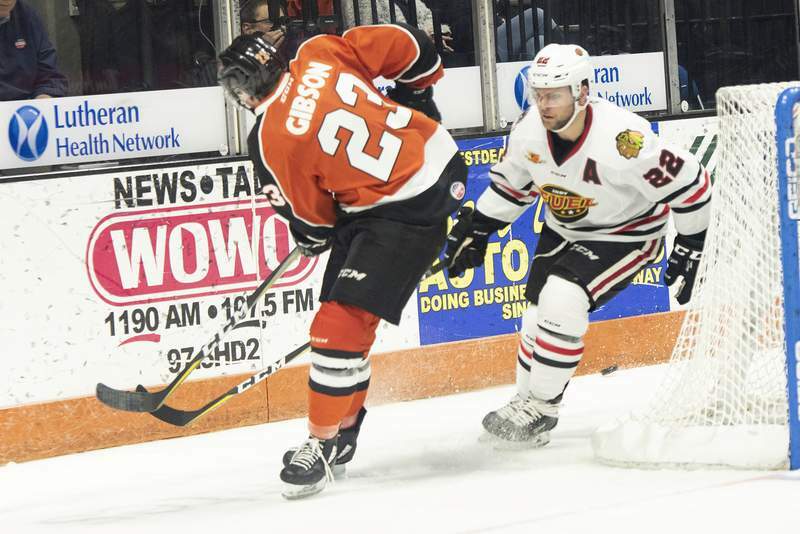 Brett Luke | The Journal Gazette Kevin Gibson of the Komets passes the puck behind his goal to avoid Indy Fuel offense during the second period at Memorial Coliseum on Saturday night. 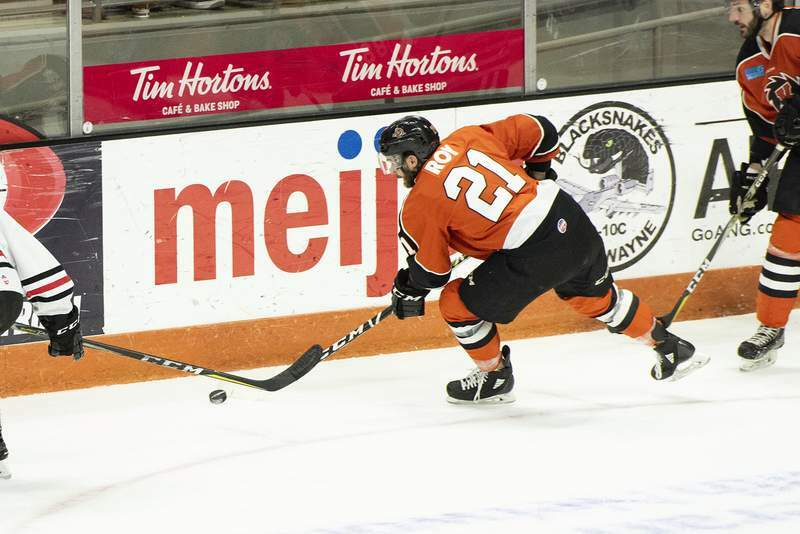 Brett Luke | The Journal Gazette Marco Roy of the Komets attempts to move the puck out of enemy scoring territory during the second period against the Indy Fuel at Memorial Coliseum on Saturday night. 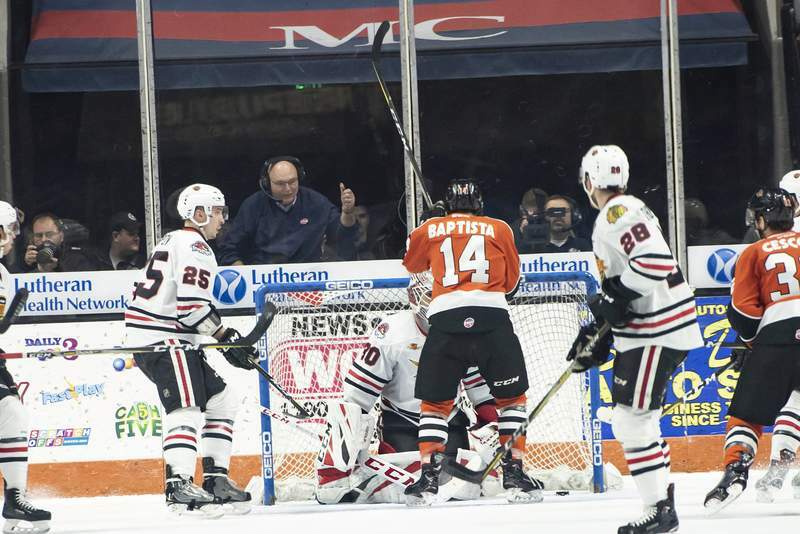 Brett Luke | The Journal Gazette Mason Baptista of the Komets scores against the Indy Fuel during the first period at Memorial Coliseum on Saturday night. 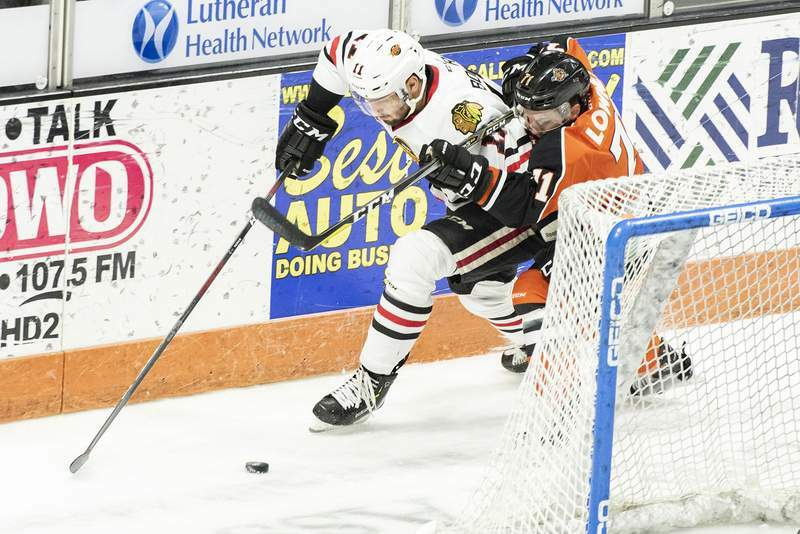 Brett Luke | The Journal Gazette Shawn Szydlowski of the Komets prepares to score against the Indy Fuel during the second period Saturday at Memorial Coliseum. 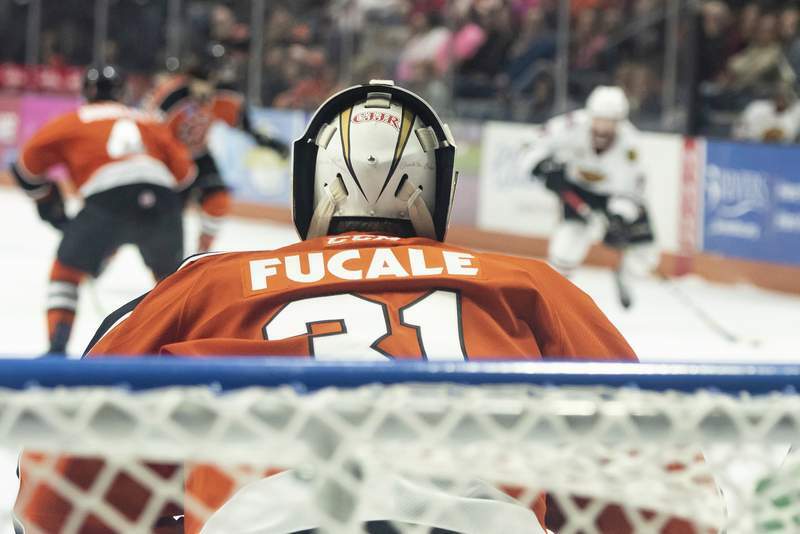 Brett Luke | The Journal Gazette Zach Fucal of the Komets prepares to deflect a shot made by the Indy Fuel during the first period Saturday night at Memorial Coliseum. 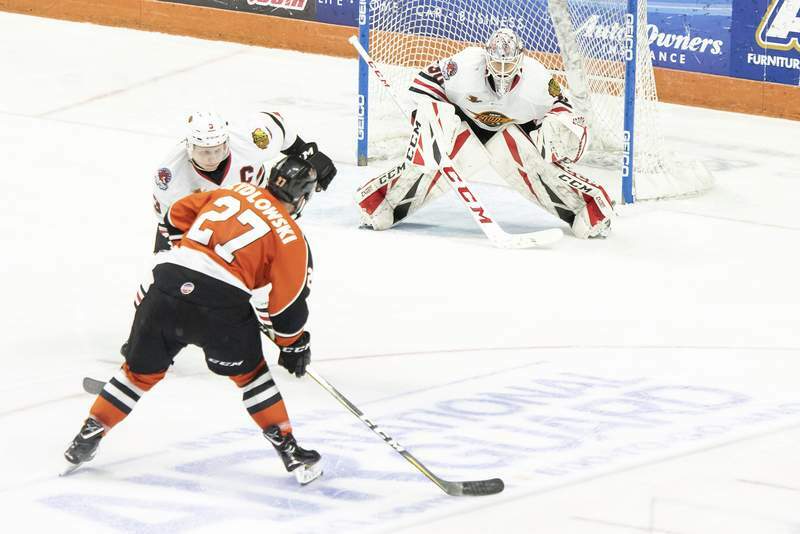 The Komets played host to the Indy Fuel at Memorial Coliseum on Saturday night.